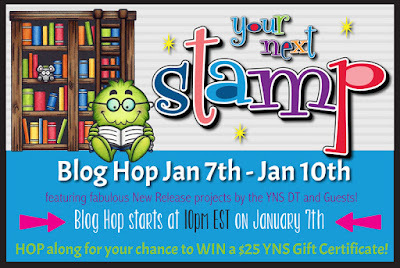 Hollybeary Creations : YNS January Release Preview! Happy Saturday everyone. It's release weekend at Your Next Stamp and today is preview day. 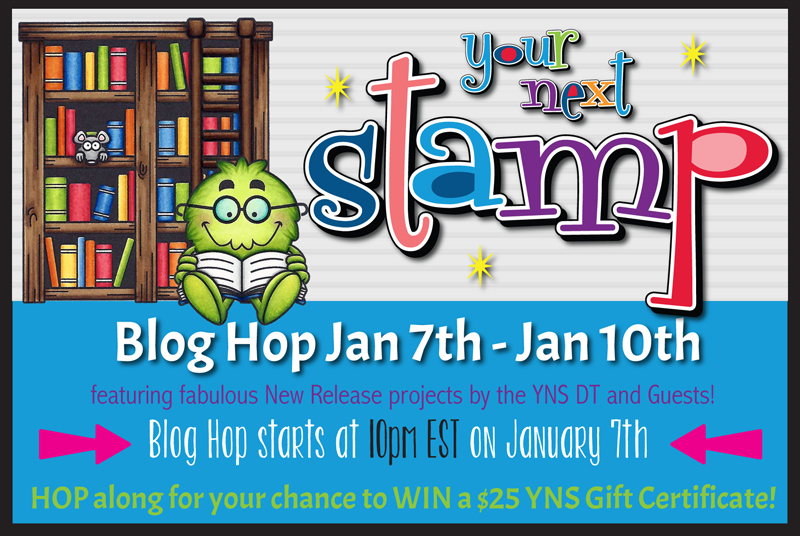 Be sure to join us tonight at 10pm est for the full release Blog Hop! I'm using the fun new set Get Your Fiction On. This is perfect for all those book lovers out there. 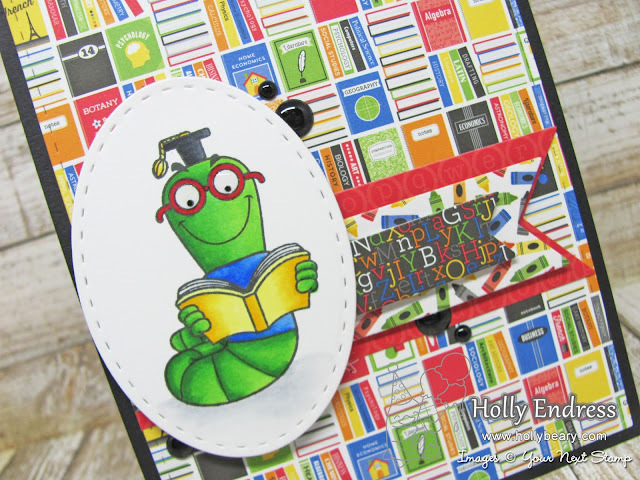 I paired the image up with some fun papers from Doodlebug Designs. I started by die cutting a piece of pattern paper with the Large Stitched Rectangle Die. I adhered the panel to a Black card base. Then I stamped the image onto a piece of White card stock using Black Olive ink and colored it in with Copics. I die cut the image using the stitched oval dies. I added some Clear Nuvo drops to the center of the glasses and set it aside to dry. 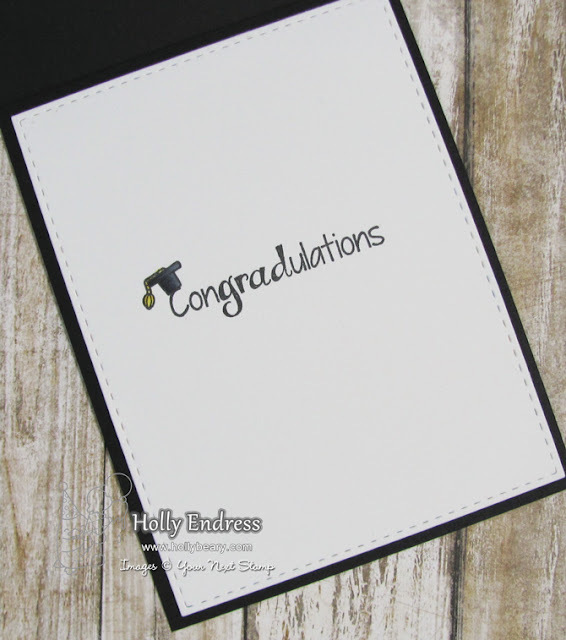 I die cut another White panel with the stitched rectangle dies and added it to the inside of the card. I stamped the sentiment in the Black Olive ink and added the little cap above the C and colored it in with Copics. I die cut a for more pieces of the coordinating pattern papers with the Fishtail/Banner One die set and adhered them to the card front. I added the image with some foam tape. For an extra pop of the Black I added some Black Gumdrops. Don't forget to join us for the New Release Blog Hop at 10pm est tonight and a Chance to Win a $25 Gift Certificate to the store! super cute as always Ms. Holly! A cute nerdy bookworm .. well colored. What a Cool Card and that paper is sooooo perfect! This is adorable, Holly!! I love that bookworm!! Ooh what a fun card! 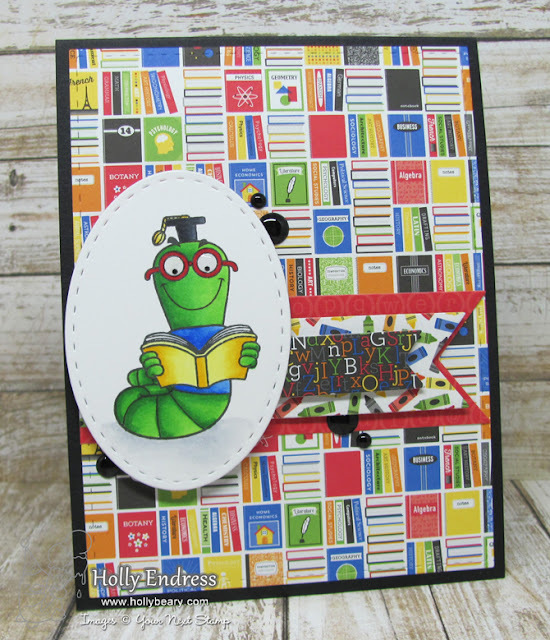 Great choice of designer paper to go with the bookworm! How fun is this card. Love the bookworm and the pattern paper. Super cute Holly. Love the background paper. What great paper! Perfect for this set.